For a good girls’ night out, Iliza doesn’t disappoint. With most of her humour based on general assumptions about the way men and women act and how they interact with each other, she pokes fun at gender stereotypes while also infusing her material with feminism. Local comedian Ivan Decker opened the show and warmed up the crowd with hyper local jokes about referring to his neighbourhood, the Downtown Eastside, as Gastown and how unprepared Vancouverites are for snow. I also enjoyed his bit about Dark Table, the restaurant where you eat in complete darkness, as he talked about how overrated that experience is. 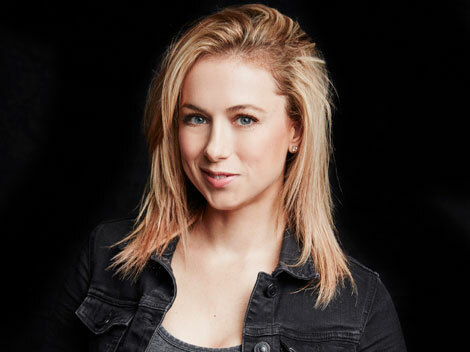 Iliza described Vancouver as a “cleaner, happier Seattle” full of people who are “like Americans were in the ’80s.” It wasn’t long before her Party Goblin made an appearance, showing that one of Iliza’s strengths is her ability to create these distinct characters with unique voices. The Party Goblin is the part of your brain that wakes up when you say something like, “I guess I’ll just go out for one drink” and then don’t come home until 4am. Most of the women in the crowd could probably relate as she joked about having too much time to get ready being dangerous, the perils of carrying a big purse, and Las Vegas being for men although women are supposed to enjoy it. While much of her material is very funny and her delivery is confident and structured, some moments felt too rehearsed. I saw much of the material on Youtube before the show, so that was a bit of a disappointment. Knowing the punchline tended to take the wind out of a lot of the stories, but for the most part the crowd was having a great time. One of my favourite moments was when Iliza said “It’s ok if you don’t want to be a feminist. It’s ok to be a moron.” This was met with cheers. Although I found some of her assumptions about women to be narrow an playing a bit heavily on stereotypes, her strongest material talks about the difficulties of being a woman and it’s refreshing to hear things like tampons being discussed openly.